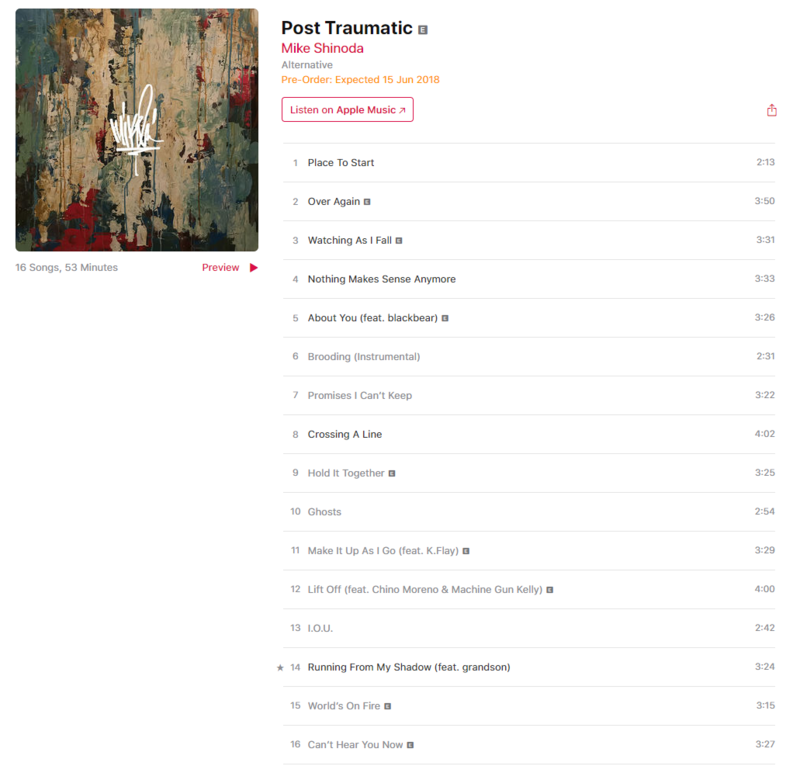 iTunes has listed the track times for all the songs on Post Traumatic with the album clocking in at 53:04. Check out the full track times below. Ksandory and Ree like this. Cool. Really liking it so far.